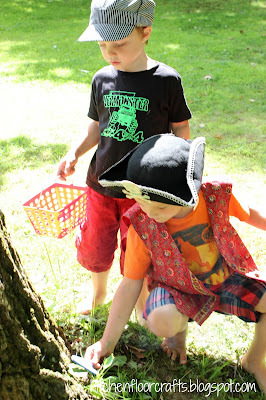 It's no secret we love pirates around here. 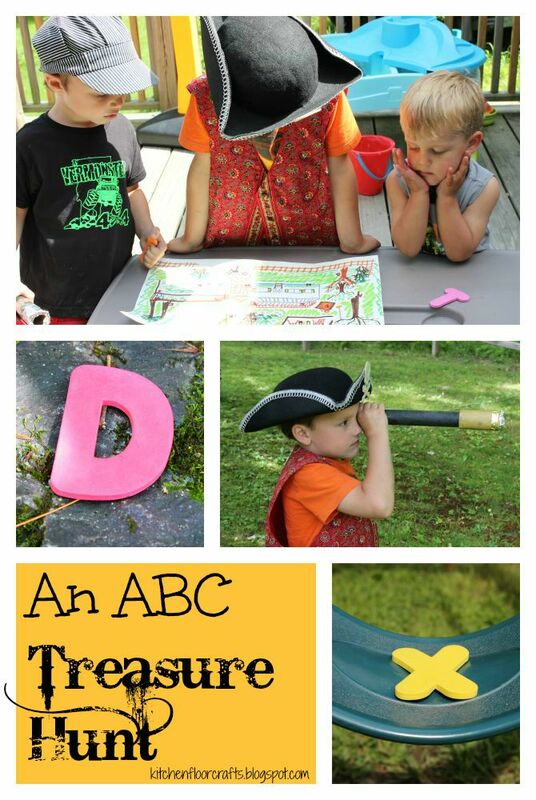 In the past we had so much fun with our Pirates' Gold Number Play we knew that we wanted to extend it into some letter play. 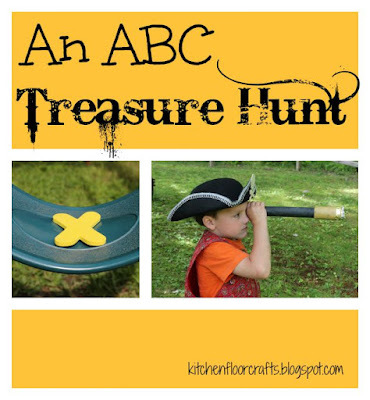 That lead me to create an ABC Treasure Hunt. It's great to do these types of activities during the summer, so we can be outside. 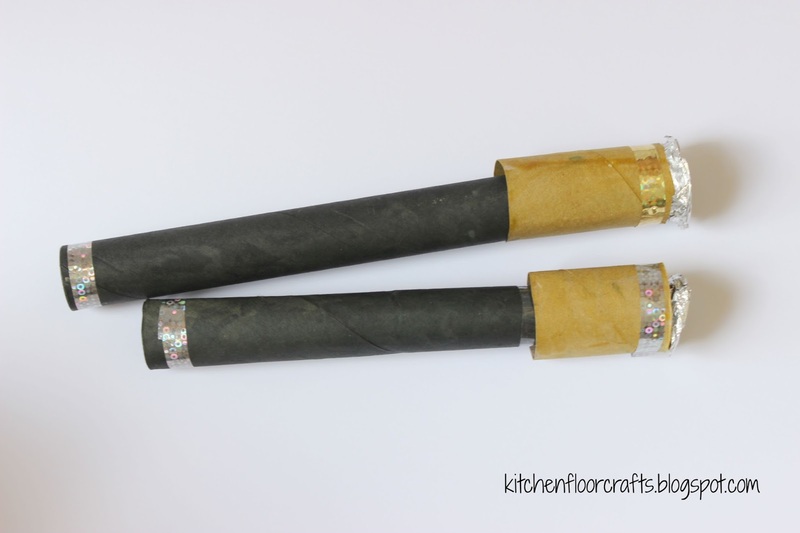 But, the materials are simple enough it could be recreated inside as well. 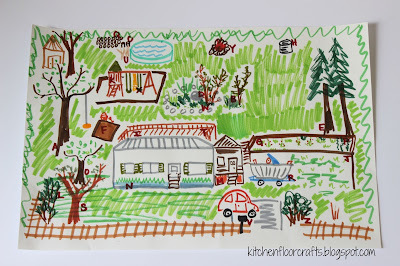 To get ready for the Treasure Hunt I first made a map of our yard. I had a lot of fun making the map! 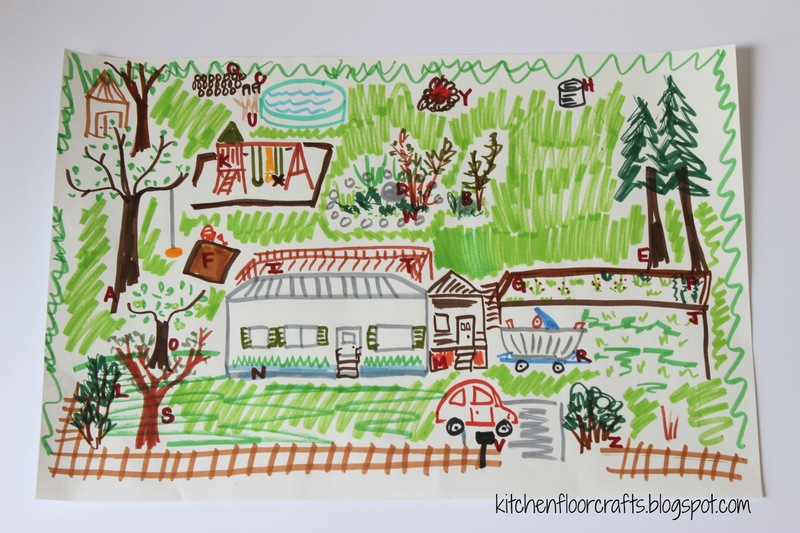 I made sure to include key features of the yard so the boys could orient themselves during the hunt. While the boys were resting, I snuck outside and hid our foam bath letter set in different places around the yard. As I hid the letters I marked their locations on the map. I also added a small basket of "treasure" in the spot marked with the letter "Z." 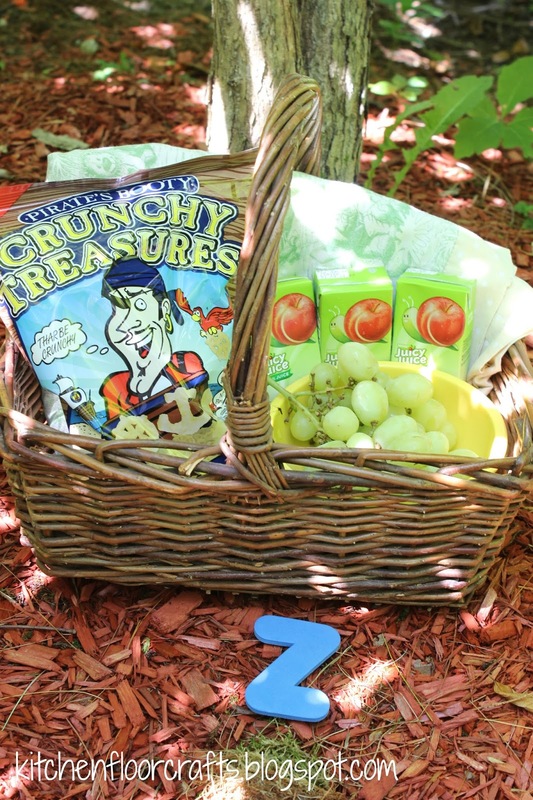 It was a perfect time for afternoon snack and grapes, juice boxes, and "Pirate's Booty" is great treasure! Now it was time for some fun! Before heading out for our hunt, the boys dressed up in some pirate gear and added paper tube spy glasses we had made earlier in the day. 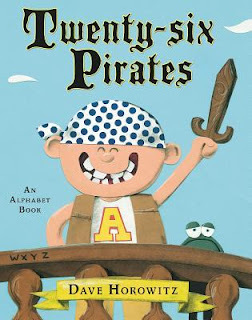 We kicked off the hunt by reading one of our favorite books, Twenty-Six Pirates: An Alphabet Book by Dave Horowitz. I then handed the map over to the boys, explained they need to use the map to collect the letters from A to Z, and let them start the hunt. They were pretty excited! They first figured out what the map was representing, and then determined where they thought the first letter, A, might be. 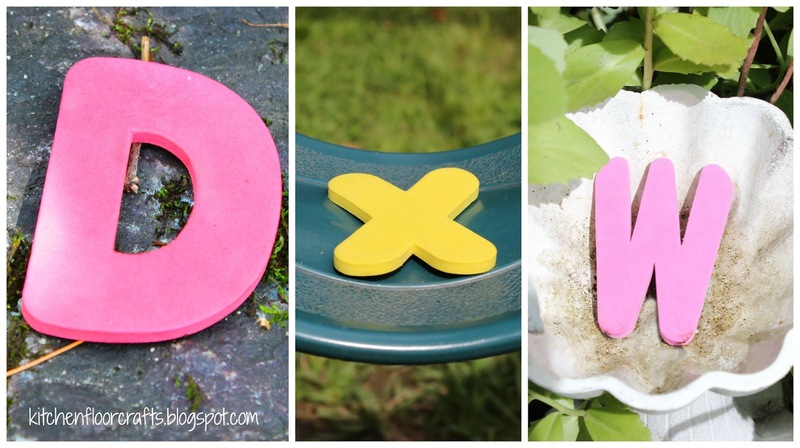 The boys continued working through the alphabet, moving throughout the yard according to the map. They worked as a team to take turns finding and picking up the letters. 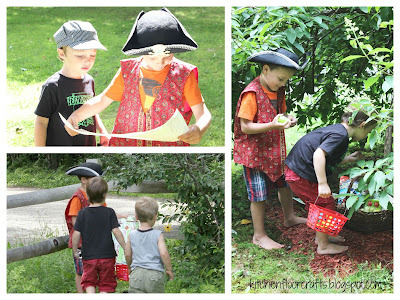 In the end they were pretty excited to reach the "treasure" and settled down for a picnic snack! 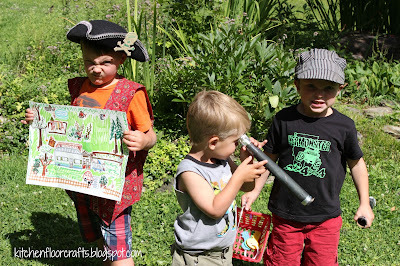 This activity was such a hit that the boys have been begging me to do it again! Z had so so much fun doing this. He has been making maps at home and marking the "treasure" with an X. This is such a great idea for a wide age group.